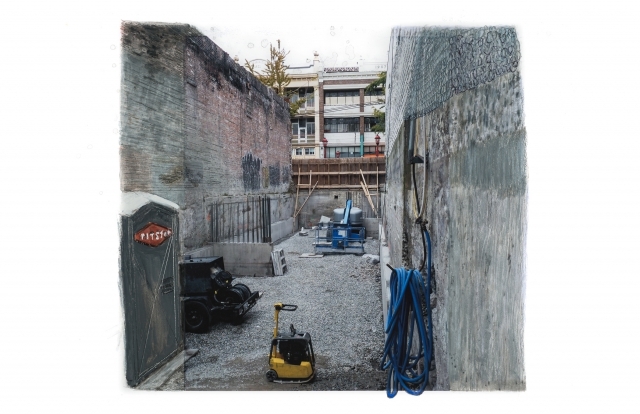 Shirley Wiebe’s photo-based images yield a trace of her nomadic drift through various redevelopment sites in the Lower Mainland. 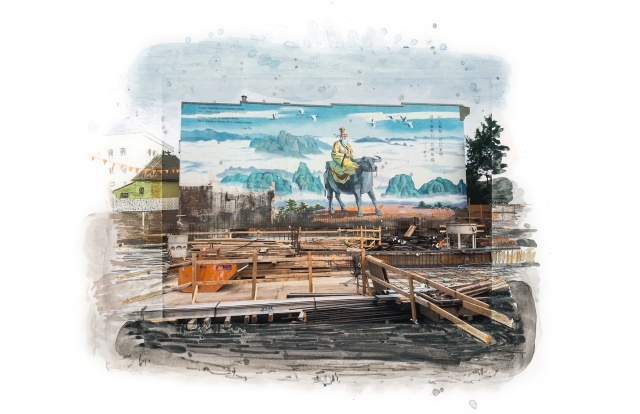 In a sense, her images are a love letter to a rapidly transforming region, a love that doubtless feels unrequited by many who face record low vacancy rates, rising rents, and renovictions. 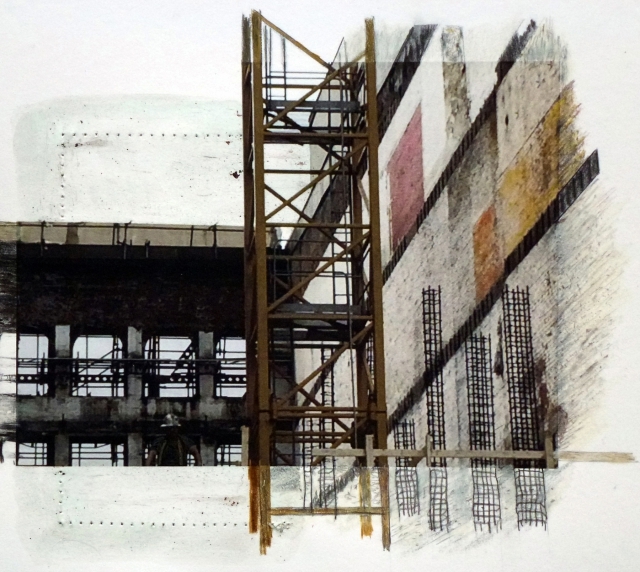 The pictures divulge something of the artist’s gendered subjectivity—trespassing on places of “men’s work” to convey her embodied encounter with profound and lasting changes to the built environment. 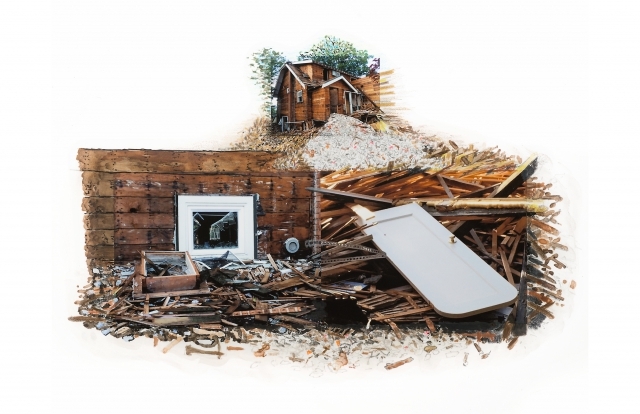 It also emerges in supplemental imagery, layering not only media but also the complexity of the artist’s personal perceptions of the seemingly impersonal processes of demolition and redevelopment. In this overdetermined, conflictual space, Wiebe’s work cannot help but register some measure of urgency, melancholy, and dread. Precariousness, promise, and inevitability haunt each frame. 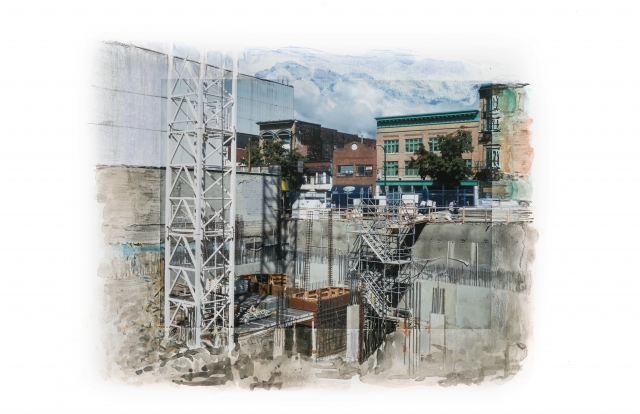 Instead of a contingent patchwork quilt of additions and repairs, the assertive presence of new construction. 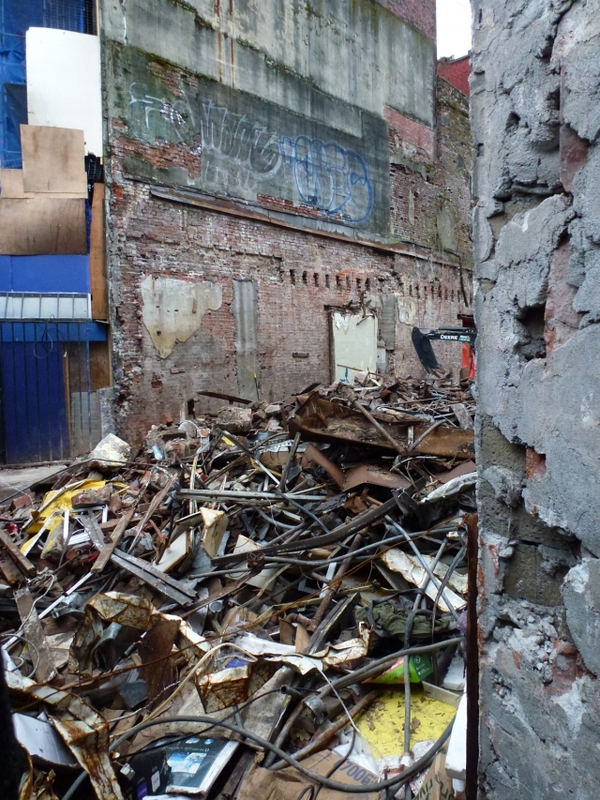 Rather than a messy, discordant, and vital accretion of pigments and architectural forms, a hygienic orthogonality that inoculates such tatty pasts. 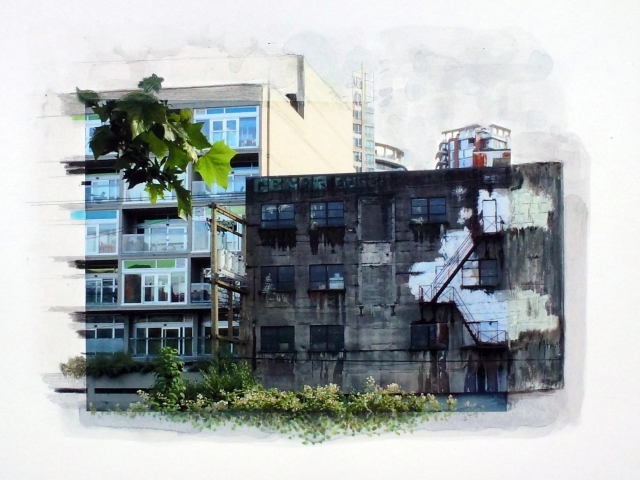 Wiebe’s hybrid images combine inherently reproducible photographs with unique extended hand-drawn details using mixed media such as pencil, ink and watercolour, making each one an original.